Aura Healing with the Angels! Did you know that you can bring immense healing to your aura in a matter of minutes? This doesn’t involve shelling out a single penny either, so don’t stop reading because you think I’m about to sell you an aura healing session, because I’m not! I am excited to share with you how you can shift your state, tap into aura healing and raise your vibration by infusing your aura with love, light, and joy. The most amazing part of this whole thing is that you can do this with help from your angels, and it’s so easy to do, and something you can do at any time. All you have to do is remember to do it, and in just a matter of minutes you can vibrationally shift if you’re feeling down. You can heal your aura, raise your vibration, empower your manifestation, and really, create a positive wave of energy out into the world. Begin by bringing your awareness fully into this present moment. Start focusing inside of your body by bringing all of your energy into the present moment. Just asking your angels for help and placing the intention for aura healing works! When you ask, your aura is infused with love and joy. Now, to really bring this up a level, start opening your heart even more by tuning in to gratitude. What in this very moment can you be grateful for? Let the first things, the little things you have to be grateful for that come to your mind, let those come to the surface. As your aura fills with love, you may become aware of things you love, of people you love, of things you’re grateful for, or you may just feel a warmth and lightness. Then ask, “Angels, please fill my aura with joy.” Notice the vibrational shift, as light, love, and joy surround you, filling your aura, and creating a positive ripple of joy and love out beyond you. You can do this at any time. 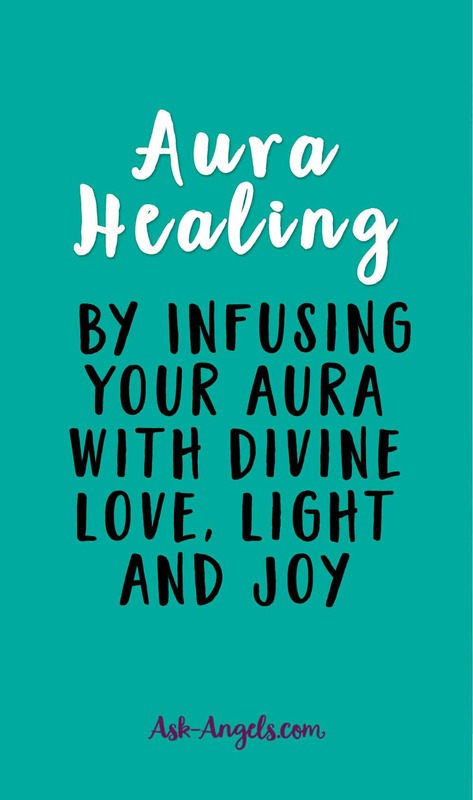 It’s a simple and yet effective way to bring healing, love, light and joy into your aura. Ask your angels for help, tune into gratitude, into the vibration of love and joy, and turn away from the things that weigh you down. Focus your thought, your intention, your energy in this moment, in the direction of what makes you shine brighter, more authentically, in greater alignment with your truth and with joy and love. This is powerful work, but it’s so easy, and it feels amazing. Do it, shift your vibration, heal your aura. And I’ll see you soon. 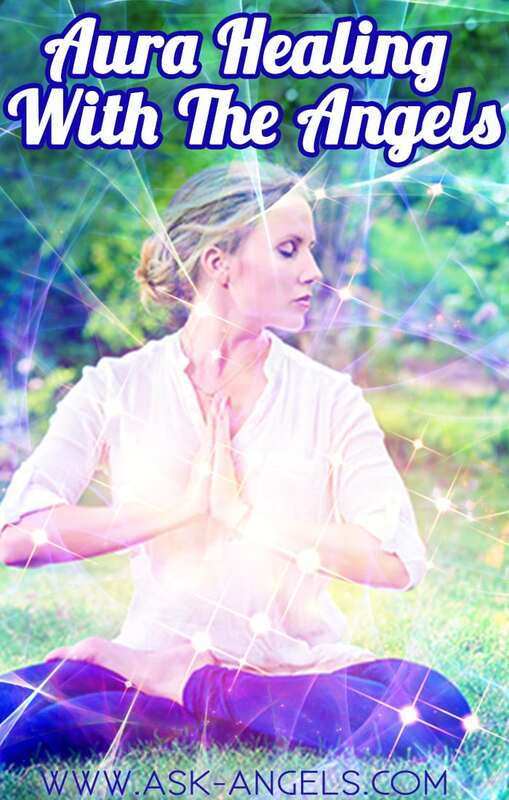 Archangel Uriel connects to assist you in infusing your aura with Divine Love and Light! ***This guided meditation is available as an .MP3, on YouTube, or transcribed into a written angel message. Simply relax, breathe and listen to receive assistance in cleansing and uplifting your spiritual vibration, and connecting with the infinite supply of Divine Love and Light. Love holds the power to heal and transform Earth, and to uplift the collective consciousness of humanity. Consciously empower your life through love, and move forward on your path of full awakening, which is still possible for you in this lifetime. Ready to listen to the Aura Healing .mp3? Simply click the play button below to listen or click the down arrow to download the .mp3 to your computer! If you are not able to see the media player window above, please wait 30 seconds for it to load the full .mp3 meditation for you. Depending on your location, it can take a minute…. Thanks for your patience! Alternatively, you can listen to this guided meditation with Archangel Uriel on YouTube, through the video slideshow below. Or scroll down further to read the written transcription of this angel message! Greetings dearest one. Indeed, I am Archangel Uriel. I greet you now with love and with divine white light that is brilliant in color and frequency to uplift and purify your vibration and to prepare you as a spiritual being, as a traveler in consciousness, for navigating your next steps in life. For understand, that in the lives of all, changes are stirring beneath the surface and in present reality. Changes to bring you into more alignment with the unique facets and aspects of this present stage of your purpose. Be mindful that you are here on earth and in life to grow, to learn, to evolve as a spiritual being in this time of accelerated change. The growth you experience now in the spiritual realm and plane, this personal and spiritual development stays with the journey of your soul. For learning, while present in this classroom of life, is not isolated here on earth and so, indeed, even in the afterlife experience, even in the divine realms, learning and growth continues. And so the further you are able to progress as your spiritual self in this lifetime now, the further you will be able to begin and progress in your afterlife journey. How gentle your transition will be between realms is influenced by your ability to flow with the changes unfolding in the universe around you now. For as a conscious being, as a spiritual being and divine creator, you have freedom of choice of how you react and, indeed, your reactions are often based around your perception. And so by shifting your perception to perceive and experience all the many experiences of your life as blessings in some way carrying you further in learning, increasing your vibration, tuning into your creativity, expanding your awareness and journeying forward on your path of growth and increasing connection with the divine, well then every lesson will be transformed into blessing and at the other side of the changes more blessings unfold. And so gratitude throughout the changes of life, gratitude for what has been, and for what will be, will ensure positive outcomes. In addition, continuing to consciously empower yourself through taking control of your mind, through practicing mindfulness and meditation, through expanding your vibration, and through opening your heart, you naturally tune into the perspective and the willingness to be a servant to all life in this world and in all universes. To serve with love and compassion, with joy, and, indeed, this service for all beings, for all life further aligns the positive aspects of the universe with your personal trajectory, with your personal vibration. And so, you see, in this way while it may seem as though you are at the whim and mercy of those around you, as it may seem as though you are subject to the whims of the universe, your perception, your gratitude, your service, your love carries you forward and while the exact circumstances of the lessons and experience of your life are unknown, your reaction to them is well within your control and your reaction determines the preceding steps that follow. Indeed, with trust and love, with gratitude and service, with compassion and continually moving forward with love in your heart and joy in your mind and gratitude on your lips, life and the many miracles held within will open before you. But, indeed, there is an atmospheric vibrational energy around your earth, which challenges this ability which in other realms is effortless, to stay in joy and love and gratitude. But your persistence and focus in returning to this perception of love time and time again begins to reformulate this vibrational influence upon the planet and so as you take control of your mind and consciously empower your life through love, the ripple of divine healing and frequency extends wide and far. Blessings pour into your life and into the lives of others. You shift vibrationally, which knows no limit to the impact this can have on the planet, the limiting, dense hardships and tensions, these vibrational forces are able to be transformed. You see, you are able to make a difference, and so choosing the higher road is not only for you, but is in service of all life and all consciousness. And at this time we angels and guides of light on the inner planes, ascended masters and teachers of divine love, flow an orb of divine healing frequency all around you to cleanse and uplift your spiritual light and vibration, to strengthen this divine protective sheath around you, to infuse your aura and your essence with divine love, to support you, to assist you in seeing the benefits amidst all situations, in retaining your present, alert, aware perspective. Amidst all struggles, all challenges, all duality of the physical realm, to see the silver lining, the inner truth, the divine love present in every moment, ushering you forward to experience more of your authentic truth and light, of your divine spirit and self. And so this light all around uplifts you, dissolving tension and criticism of self and others, aligning you with the next steps in your divine purpose of joy, of service, of moving forward in awakening, in your personal transformation, on your personal journey of moving into closer, direct experience with divine intelligence which comes one moment at a time, one step at a time through increasing your vibration. And, indeed, as many masters who have come before you have clearly illustrated, love is the master path to moving forward. Love for self and love for all life. And, indeed, love takes many forms and so love means not letting those who manipulate or seek to control, push you around. Love means standing in your power. Love means being able to take steps to initiate change, love means moving in the direction of your joy, your personal growth, your personal fulfillment, which is not selfish, it is selfless for your personal journey through the intricate web which connects all consciousness influences all. You’re supported, and this divine light that is around you now will remain, but it is strengthened in power and frequency when you consciously tune in and call it in. This orb of light around you uplifts you in vibration, protects you in a gentle and loving way allowing the blessings of the divine to flow in, while negativity and uncertainty bounces off, and is released into the light. This light assist you in being certain in the knowing that you walk a path hand in hand with the divine, that you are guided, you are blessed, and you are loved. This light brings the outward proof of this guidance, of this connection into your experience. Your beliefs, your emotions, your thoughts dictate the how and why certain things, experiences, and facets of your life are created. Your reactions then determine what unfolds next and so stay focused on the love you’re moving into, the love you are expanding from within, and carrying with you forward, and you will meet love, you will multiply love, you will radiate love.Love which has the power to heal and transform the entire realm of earth, elevating the vibration collectively of humanity one thought, emotion, belief, person, choice, action, step at a time. You are guided and supported, through quieting your mind, tuning into your awareness and opening your heart. This guidance will shine through. Trust, act, believe, and move forward in love and more of the divine light will be able to effortlessly flow into your experience, for love attracts love. We flow love your way. You are wrapped in a blanket of divine love. Breathe it in, embrace it, let it melt away tension, doubt, and uncertainty so that you may confidently step forward in increased love, compassion, and radiant living. Beloved being of light, shine this inner truth that you are with love in the now moment. Your life is able to take on a magical quality of divine transformation. I, Archangel Uriel, leave you with a final infusion of divine love and uplifted frequency. Carry this uplifted light throughout your day, shine with the inner brilliance that you truly are transformed, for the highest and greatest good, with the assistance from the divine masters, angels, and teachers. We leave you with our blessing, with the certainty that life continues forward and that your personal journey, your personal joy, indeed, has the ability to bring upliftment, learning, and well being for all. You are loved infinitely, totally, completely. Embrace this love, radiate this love for yourself and others and love, the journey and master path, will usher you forward to the full awakening possible in this lifetime still. Embark in love and gratitude and know that we are with you, always a breath away, a thought away, a call away. Quiet your mind, enter in, lift your vibration, and let the ever unfolding blessings of a connection with the divine begin. I am Archangel Uriel. With love, frequency, and healing transformative light I leave you with my blessing. Goodbye for now. 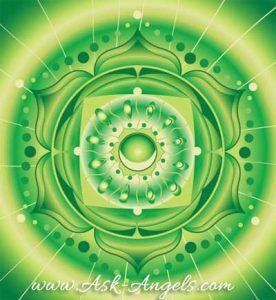 If you enjoyed this powerful aura meditation and you would like to learn how to see auras, click here. If you would like another meditation, click here and enjoy the Love Meditation! Beautiful, inspirational and Divine wisdom filled with love. Thank you, Archangel Uriel, Thank you , Melanie. The Aura Healing is amazing. Thank you for sharing this with us. Yay! So glad you enjoyed… Many blessings! Thank you so much Melanie for all you do .. may you always be blessed ??? U <3 V <3 X 1 post @ a time! Namaste! I am so honored… Thank you, thank you thank you. Thankyou so much for this beautiful message melanie so uplifting. and healing. I need a meditation to heal a shattered heart. Can you recommend one?